Leaders from across the Pacific, including Julie Bishop, Australian Minister of Foreign Affairs, have come together in the city of Suva, Fiji this week to discuss regional challenges and priorities. On Saturday, Bishop was joined by Fijian Minister for Health and Medical Services, Rosy Akbar to announce the Australian Department of Foreign Affairs and Trade (DFAT)'s new $4 million AUD investment in up to 16 innovations designed to combat malnutrition in the Indo-Pacific region. These innovations were sourced through the LAUNCH open innovation program—each will contribute toward improved nutrition outcomes, and many will specifically benefit communities in the Pacific Islands region. LAUNCH staff and innovators were on hand to demonstrate the impact that their innovations will have on the ground. 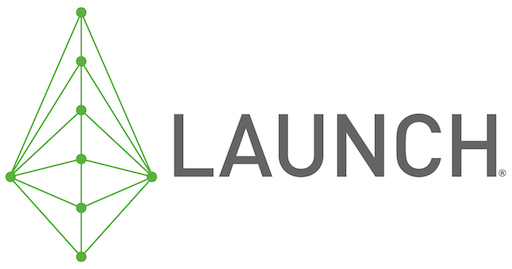 "These are innovations that would not have had visibility with traditional development," says LAUNCH's Todd Khozein. "It's through partnerships like LAUNCH that not only are they able to be seen, but also to be supported such that they can flourish with further investment from partners like DFAT." LAUNCH Food launched a global call for innovations starting in September 2016, netting nearly 300 applications from 74 countries. A related LAUNCH Legends sub-challenge, also sponsored by DFAT, was a call for storytelling proposals using emerging technology to encourage children to eat more healthy food. The Department of Foreign Affairs and Trade will be announcing specific funding details after further consultation with regional governments. The portfolio seeks to target communities in the Indo-Pacific, where malnutrition rates are among the highest in the world. The region accounts for more than half of the world’s chronically hungry people. And while laypeople may associate malnutrition with hunger, the problem actually takes a number of forms — one of which is obesity. Nine out of the 10 countries with the highest rates of overweight and obese adults are in the Pacific Islands. $2.5 million of the new DFAT portfolio will directly target Pacific Island nations. "Winning initiatives will work to increase local production of healthy food using innovative technology," says Ms Bishop, "and drive healthier food choices through improved public health communication." LAUNCH Legends innovator Wil Monte (right) demonstrates Yampage! to Fijian Minister for Health and Medical Services Hon. Rosy Akbar (left) and Australian Minister for Foreign Affairs Hon. Julie Bishop (middle). Robert Oliver: Pacific Island Food Revolution is a health education initiative tailored to audiences in the Pacific Islands that includes a reality TV format, multimedia, and creation of a social movement. Bob Pollard: Kokonut Pacific makes new probiotics and meals from local coconut resources to reduce under nutrition and stomach cancer in the Pacific. Dipika Matthias: Coffee Flour is a nutritionally dense flour product made from discarded coffee cherry pulp and skin. Through phase 1, they will assess the potential nutritional benefits of Coffee Flour and undertake a food landscaping in the Indo-Pacific region. At the same time, they will establish a value chain for Coffee Flour by securing quality of supply and driving consumer demand. Beverley Postma and Benjamin Uchitelle-Pierce: HarvestPlus has developed staple food crops enriched to provide between 25% and 100% of daily requirements for vitamin A, iron, and zinc. In up to 6 priority countries, Harvest Plus will undertake analysis, policy integration and stakeholder engagement to prepare country-specific rollout strategies. Habib Saqib and Mohammad Obaidullah Khan: Telenor Pakistan presents ‘Khush’haal Zamindar (Prosperous Farmer)’, a mobile phone-based service providing localised, contextualised and customised agricultural information to rural farmers. Telenor will customise, contextualise and localise the Prosperous Farmer service and expand their range of suitable nutrition education content, reaching up to 23 million people. Joanna Kane-Potaka (International Crops Research Institute for the Semi Arid Tropics (ICRISAT)): SmartFood is a campaign to popularise food that meets three criteria – good for you, good for the planet, and good for the farmer. Smart Food will start with a focus on millets and sorghum. This investment will identify suitable smart foods in two Indo-Pacific countries, and implement a trial whole of value chain approach to popularise the selected crops. Bruce Neal: FoodSwitch is a program that helps shoppers choose better foods, industry make healthier products, and government set effective policies. It captures, catalogues, and profiles the changing quality of a nation’s packaged and restaurant food supply, arming consumers, industries and governments with the power of information. This investment will support a trial in two Indo-Pacific countries. Kirsty Bayliss (Murdoch University): Breaking the Mould is a plasma-based treatment that extends the life of fresh produce by delaying mould growth. This investment will allow Breaking the Mould to test and validate the technology on a broad range of moulds and produce (particularly whole fruits and vegetables) in the Indo-Pacific region. Marc Noyce and Brendan Condon (Biofilta Pty Ltd): Foodwall and FoodCube are modular, user-friendly, and extremely water-efficient urban food growing systems. Biofilta will scope and trial Foodwall and FoodCube in two Indo-Pacific countries, allowing for testing and contextualising for local conditions. Salah Sukkarieh (University of Sydney): The Digital Farmhand is a data-driven digital platform connecting small-scale farmers to a global growing community while helping increase growing capacity. This investment will support a trial of the technology in at least two Indo-Pacific countries. Tash Tan (S1T2): Beyond The Stars is a storytelling-based technology experience that will empower children in the Pacific Islands to rediscover nutritional values and healthy eating through an explorative journey into their culture. Wil Monte (Millipede): Yampage! is a game-based learning platform that will teach, inspire and engage young children in the Pacific Islands in healthy eating and traditional foods through fun gameplay, music and culture. Timor Leste Food and Nutrition Innovators Exchange (TL-FIX): This is a collaboration of the President of Timor Leste’s Nutrition Awards (PNP), Agora Food Studio, Dilicious Timor and Wide Vision. The investment will support food storytelling exchanges to promote traditional foods and cooking demonstrations in an open kitchen format in 6 rural villages. The aim is to create a visually-inspiring, open-source, living archive of Timor-Leste's gastro-diversity. PNA Tuna (Parties to the Nauru Agreement): The Microcanning program by PNA Tuna trains micro-canners in Pacific Islands to help improve food security and provide employment and business opportunities. Through this investment, Microcanning will undertake a nutritional analysis and develop technical training packages for micro-canning business, and investigate the potential to establish foodbanks in several countries. The World Food Programme: Mobile Vulnerability Analysis and Mapping (mVAM) delivers real-time food security data through mobile technology. Matt Carr: Agsol is a manufacturer of solar powered agro-processing machines for poor off-grid farmers in developing countries. This investment will support a village-scale solar power system pilot to test how a larger, integrated system may work, providing villagers and partners with access to a number of agricultural processing machines including a cassava grater and a coconut scraper.